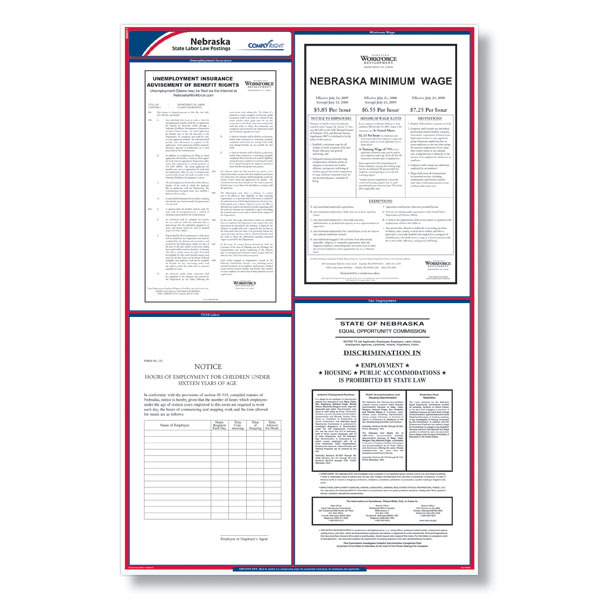 The Nebraska state labor law poster by ComplyRight contains the most up-to-date labor law postings for your state. 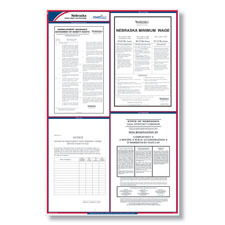 The all-in-one solution provides worry-free compliance for your state in a convenient laminated design with the exact size, type fonts and layout of the official government postings. Poster updated with new definition - Age Discrimination in Employment Act now applies to employers with 20 or more employees. Poster updated - employees can file an unemployment insurance claim over the internet at NebraskaWorkforce.com. The state minimum wage increased to $5.85/hour effective July 24, 2007, $6.55/hour effective July 24, 2008, and $7.25/hour effective July 24, 2009.